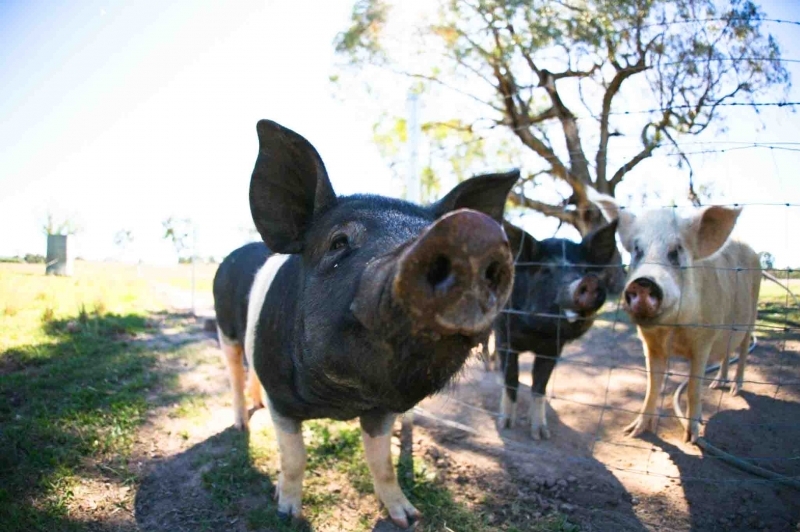 You are currently selecting tickets for the 17/03/2019 (9:00am - 12:30pm) Mudgee Fine Foods Farm Walks. This event has multiple dates or times.If you wish to change to a different event, please select a date, then a time before selecting tickets. If you’ve ever wondered exactly what ‘free range’ means, wanted to get in touch with the seasons or show your children exactly where their food comes from, Mudgee Fine Foods have come up with a great idea to get people back to grassroots level. Join us on our guided farm walks, where you can get your hands dirty on a working farm. From our great range of producers, two farms are chosen each month. Depending on the season, you may get to see olive oil production, free-range pork, locally grown vegetables, vineyards,a fig orchard, or a working winery. Farm walk participants get to meet the farmer and hear how passionate they are about what they produce. According to the season, you will be shown various stages of their production. There will be lots of opportunities to talk to the farmer, ask questions, and get your ‘hands dirty’. Depending on the season, you may even get the chance to pick or collect produce, and taste really fresh food. There may also be the opportunity to purchase produce directly from the farm gate. Not only does this give you a chance to experience a working farm, it is a nice way to get in touch with the seasonality of growing produce. Meeting Point: Tours start from the carpark at the Mudgee Visitor Information Centre, 84 Market Street, at 9.00am. Please make yourself known to the Tour Leader (Julie), and have your Farm Walk ticket with you. You will then ‘follow the leader’ to the participating farms. Transport: Participants need to get themselves to and from each farm in their own transport. What to bring: Please wear covered shoes, no pets allowed, and be prepared to learn, enjoy yourself, and get some dirt on you! Tour duration: Tour duration times can vary according to the distance travelled between farms, what there is to see and do at each farm, (and sometimes how long the farmer likes to chat!) but allow 3 to 3.5 hours. Cost: Family Pass (2x Adults + 2x Children ) - $35, General Admission - $15 per person, plus a booking fee. Ticketing: Tickets available from Mudgee Visitors Information Centre, open 7 days at 84 Market Street, Mudgee or you can book online.